China Defense Blog: IT FLIES! 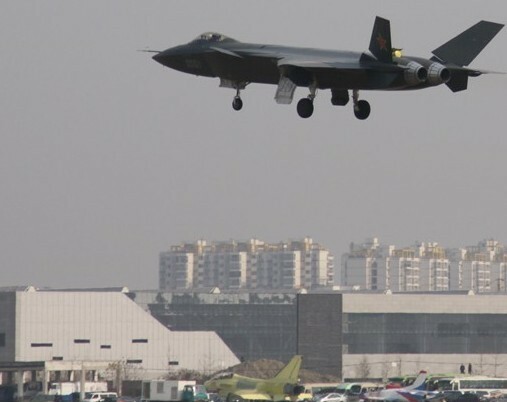 J-20 Stealth Fighter takes first public flight in Chengdu! IT FLIES! 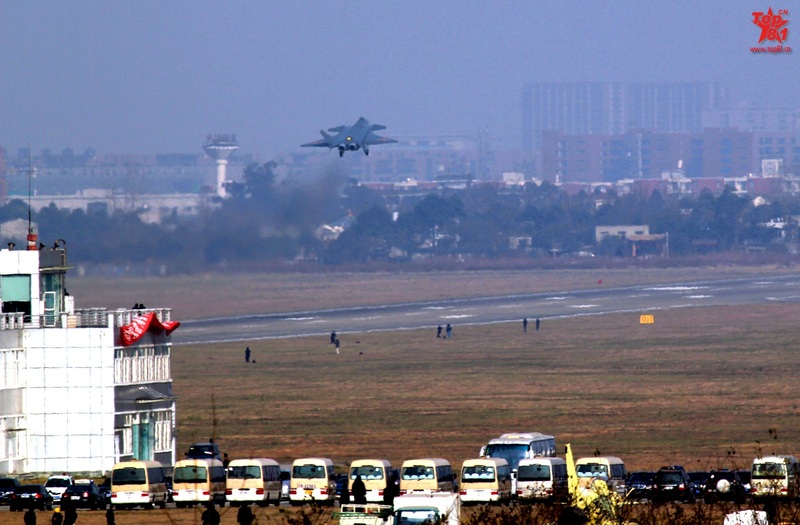 J-20 Stealth Fighter takes first public flight in Chengdu! 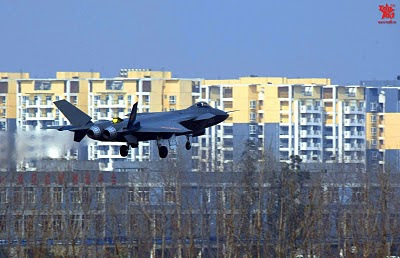 In a symbolic if unofficial salute to China's official guest, US Secretary of Defense Robert Gates, the J-20 Stealth Fighter makes it's first public flight in front of the cameras. Acting as a chase plane is a two seater J-10S. Secretary Gates may seem to be aloof, but we're sure his old spook buddies at the CIA are watching the J-20 with great interest. 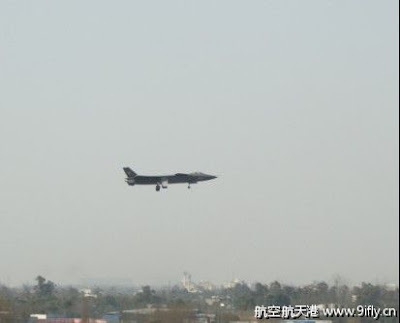 Here are the first pictures we have available, and as always, check China-Defense Forum for the latest discussions. It was all over the news in Portugal too. 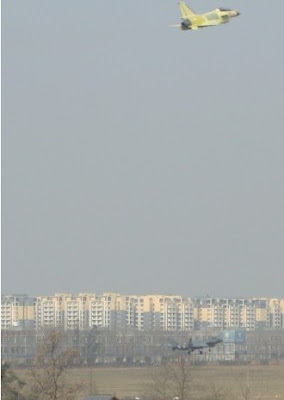 One again, my sincere congratulations to the PLAAF for such technological achievement. It is clear that this fifth generation fighter has already been tested prior to the official presentation (usually when a plane is still a prototype has the yellow coating). Consequently, this flight was indeed a clear message to the United States that China is the indisputable superpower of the 21st century. I disagree. The general layout of the aircraft is not impressive and I doubt whether US or western intelligence services will quake with fear at this not too stealthy jet. The forward canards suggest a typical pitch-up attitude control necessity because most of the aircraft's weight is positioned well aft. Also, there does not appear to be a stealthy architecture built into the aircraft because of its very conventional "boxy" lifting-body that houses the weapons and landing gear. Of course the non-vectored thrust is another problem that gives off a very much more defined infra-red signature. In short, while the PLA is to be given kudos for getting a plane into the air it is almost certainly not a very stealthy aircraft capable of taking on the best of the western air forces. 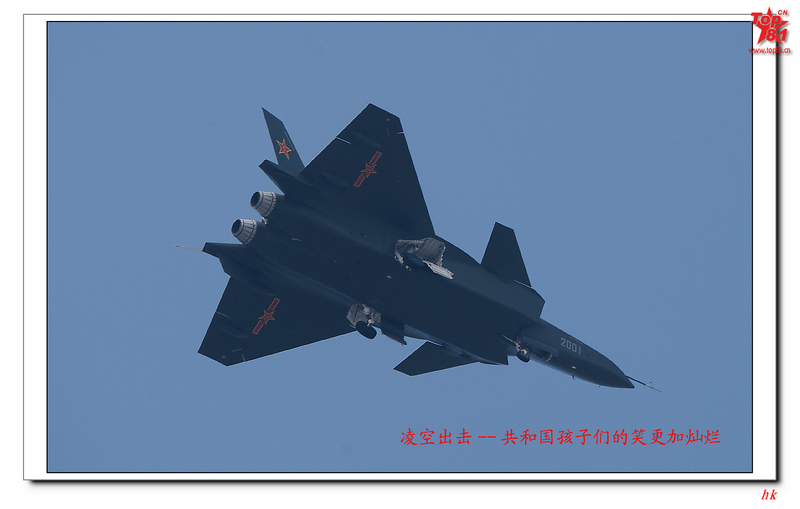 In fact, the J-20 would most have likely have problems combating F-15s, and certainly Su 34s and Mig 35s. The happiest people will be the folks who make F22s. People on internet can pat on each other's backs for an imaginary job well done. It is really millions of dollars for the manufacturers. Fast track the fielding and integration of AIM120D, AIM9X, HMD and NG avionics and ACM tactics. Cheaper yet far more effective than unboxing the production tools and building yet more Raptors, IMHO. either way defense contractor wins. Air Force will probably be spared of more budget cuts for it cold war minded weapon. Click the necessary icon appeared. See what a true blue expert< Dr Kopp had to say about J- 20. Plaese DO NOT brag around with your empty statement. Click "J-20 Dr Kopp" and see what a blue expert comment on J-20. "It is absurd that F/A -18 Super Hornet or even JSF-35 to take head-on, much less to penetrate area where it is protected by J-20"
The might of the PLAN, for sale. Looks like AGM-86B/C, does it? Where is Waldo in Chengdu?